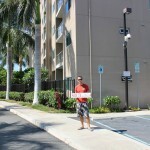 I decided to sell my condo two years after moving back to the mainland. I was a bit nervous to go through the whole process while living 6,000 miles away, but Shannon made everything so easy. She secured several offers above asking price within a few days of going on the market and was able to schedule closing for right after tenant moved out. She coordinated all the necessary minor repairs after the home inspection and kept me up to date through the whole process. Absolutely top quality service. I highly recommend the services of Shannon Severance and her experienced and professional team. Shannon is knowledgeable about the area, a seasoned negotiator and guided me through the entire process. As I am located on the mainland, I was nervous about selecting the right realtor and I can tell you I made the right choice in Shannon! Just when everything seemed to be going right (the condo sold within a few days) a water leak was discovered in the master bath causing water damage to the floor and vanity. This could have been a deal breaker, but Shannon stepped up and coordinated the repairs and made sure the buyer was kept in the loop and satisfied with the restoration. Another Sold by Shannon! Shannon went above and beyond her job treated us like if we were long time family friends and made the buying process painless and would highly recommend Shannon if you’re looking into buying or even selling! Shannon Severance and Meranda Severance did out standing job on selling home. Shannon guaranteed us that she will sell our home quickly without any problem and she did just that. Miranda Severance also was very helpful in the process. She update us week in week out or when something arises. Shannon’s service was excellent, her team provided us with weekly status updates and stayed on top of everything. I’d highly recommend her for all your real estate needs. Shannon has a proven system, that makes the home buying and selling process less fearful, instead we felt calm and assured every step of the way. We purchased a new home, and had never been through something like this before, she was there from the beginning, seeing us through picking out of appliances to final inspection. If you want a professional, who knows the market, and is the best in Hawaii, you’d be missing out if you didn’t call Shannon! 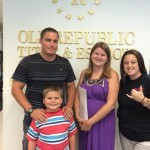 My husband is active duty military and when we got orders to leave Hawaii in just a couple months, we were scrambling to figure out what we wanted to do with our home! We met with Shannon and she put us at ease immediately. She ensured that we would have no problem selling our home and to put our trust in her to get it done… and she did!! Our home was in contract within a week and she handled EVERYTHING! She truly cares about her clients. We will be absolutely be using her again if we find ourselves back on island in the future! Shannon is awesome! Very professional, efficient, and personable. 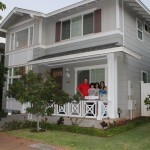 She and her team helped us every step of the way in finding our dream Hawaiian home. Love the knowledge and experience Shannon brings! Commitment and excellent service. She flew between islands several times to help us. I would highly recommend her for any one looking to buy a home. Shannon is wonderful. Our selling process was tough but she protected us and kept us well informed every step of the way. She really had our best interest at heart and came through for me and my family in a tough time. Thank you Shannon!!! If the thought of buying or selling a home in Hawaii has ever crossed your mind, please contact Shannon Severance at Remax! She is, by far, the most amazing agent on island! When we first met with her to ‘possibly’ list our condo for sale, she promised to put our needs above her own and to get us the best price on our home. We didn’t list our home at that time – but she still included us by invitation to every client appreciation party/event she held over the past 2 years (which was at least 4). She also included us in her monthly newsletter distribution – which has valuable information and insight for buyers and sellers and market conditions. When we contacted here a few days before Thanksgiving about listing, she swore to be ‘a bulldog’ on our behalf and promised to get us top dollar for our home. Well, she not only sold our home in record time, handling everything for us during an emergency family situation off island, but she was a great friend during a very chaotic and stressful six weeks in our personal lives. And, just as promised, she had our backs every step of the way, including AFTER the sale when she immediately resolved an error made by the escrow company. Shannon and her team provided wonderful service for us and all were available by phone, email and text every hour of every day, with zero wait time for responses! She is one of the top agents in this state because of her dedication to each and every client and her ability to ensure your satisfaction above all else. She will put you first and represent you like no other agent in every transaction. Shannon found us a home in the location we requested within one day and we made an offer and had it accepted within 24 hours. The process was simple and smooth. I recommend having Shannon as your realtor. Shannon Severence is an exceptional professional. Her dedication, hard work and determination were an inspiration and a much needed blessing. Shannon went above and beyond to provide exceptional customer service in the selling of my home. She dedicated countless hours to ensuring we were informed, protected and encouraged. Her integrity and hard work are an inspiration. Shannon needs to be rewarded for her kindness, generosity and skill. Her hard work brought in numerous offers and ultimately sold my home for top dollar. She is a gifted, talented, honest, trustworthy, dedicated and hard working agent. 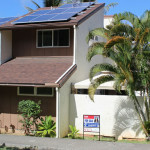 I highly recommend her to everyone looking to sell their property in Hawaii. I was referred to Shannon one morning after dropping my daughter off at school. Who knew that less than a month later I would have keys to my first home. During the buying process bad luck seemed to follow me every where I had my car broken into and then the engine had to be replaced. I didn’t let this stop me in my home buying process as shannon was there to help guide me through all of the this and even asked if I wanted to stop and come back at a later time. Her thoughts were always with the buyer first and her needs and wants last. I signed for my new house and then had to wait for recording to finish when a car I had just purchased to replace the one that had broken down was stolen. It was stolen infront of my old house as I was actively loading the car with everything from my kitchen. Shannon was one of the first people I called she offered any thing she could and I’m pretty sure that she would have given the clothes off of her back to help if that was what I needed. Weeks later car less and walking miles to get places she and I met up and she requested that I was driven to my destination by her and that she also had a special gift that she personally put together for me and my family. It was a large assortment of useful kitchens items so i could use my new kitchen. And then again offered to help in any way possible. To this day I call and keep in touch with Shannon. She is not only the best realtor I could ever ask for but a close friend and loyal member of my extended family. One of the best Realtors we have worked with, she was there for us, and didn’t let us down! She is an amazing person to work with and we would recommend her 100% always! Shannon is amazing! She took the time to get to know us. Showed us homes we would never even dream of owning. She introduced us to people who made our dreams come true. She encouraged us to keep all options open. She was awesome and helped us above and beyond her duties. If you in need of a real estate pro, she is the one to call! Working with Shannon has been such a dream. Shannon is an expert at helping military families relocate and find a home that is right for them. From her can-do attitude to her friendly personality – you will be very happy if you use her as your real estate agent! Shannon is a very approachable and committed real estate agent who really listens to your preferences, provides down to earth advice, and takes into account your concerns, all of those are qualities that my husband and I found very helpful being prospective first-home buyers. She is extremely dedicated and is always available to provide guidance and answer your real-estate related questions. We highly recommend her! Shannon has helped me through every step of the process in buying my first home. If you’re looking to finance with a VA loan, Shannon is definitely the person to go to. Highly recommended! Shannon is an excellent Realtor and an expert on the local Community. Her local knowledge and rapid assitance were a hudge help in the search for a new house. I highly recommend her to anyone looking to sell or buy a home. I would like to give a special THANK YOU to Shannon. I had called several Realtors one day from different agencies including RE/MAX. Shannon was the only one who took the time out on a Sunday to call me right back. This was amazing as from pasted experience, I would not even been given a call back. I was able to schedule a meeting with Shannon to go over the possibilities of putting my home on the market. I advised this will not be a short sell and if it took 6 months to a year it would be fine. I was also very straight forward on my past experience with Realtors and this time I would not tolerate being mistreated or misinformed and put through the grind during the escrow process. Shannon listened and understood what I was looking for and put a plan of action on paper. She had a vision on what/how/when to place the house on the market. I was impressed by her presentation on how she will market my home and what type of buyers we should conduct business with. Once her marketing plan was set-up and in place, my mind was blown away. The virtual tour/link that Shannon sent me was out of this world. I could not believe that I was seeing my own home. I wanted to buy it again! I knew just from the virtual tour we would have a buyer right away. The first day the house went on the market we had several visitors and got an offer that evening. I also got a back up offer the second day as well. I was beside myself and full of joy it was just hard to believe. I would definitely recommend Shannon Severance to any of my friends/associates. Shannon is very pleasant/knowledgeable/hard working realtor and she will tell you like it is. Shannon will be up front and honest regarding her marketing plans. This is what sold me and now I am able to purchase the home that I want. Thank you RE/MAX for having Shannon on your team. She is a great asset to RE/MAX Honolulu. She is very nice and sweet ,and she gives 110% . She goes out of her way to try and help you out as much as she can.As soon as there is new info on special programs ,she let’s you know right away!:). THE SERVICE PROVIDED SECTION I CHOSE HELPED ME BUY,BUT WE DIDN’T BUY YET.WE ARE STILL IN THE PROCESS. She was able to give us excellent advice on the purchase of home. She became knowledge in the Northshore to Waimanalo area, because that is where we were looking to purchase. She was able to get answers from expert, knowledge people to our questions as well as her own. When we had to move to another island she was able to give us another agent who was as capable as she was. She made us feel like family. Think sold! Think Shannon Severance – professional, integrity, honest, caring, knowlegeable, experienced, POSITIVE ATTITUDE, diligent worker. Loves helping people get what they want & 1st time homebuyers. A “go getter” that can SELL your property! I enjoy knowing Shannon, and have that piece of mind knowing I can always call her with any questions I have on Miltary and Civilian Homes. Shannon built her company on the promise of exceptional customer service. Whether you are selling your home or searching for that special place to call your own, you deserve to work with someone who has your best interests in mind. She realizes that something as valuable as your trust must be earned. I will use Shannon’s services again! My pocket Realtor! The first day I had a good feeling about her, she was so positive and upbeat. She was realistic with us telling we to be more aggressive because of today’s market. My husband was leery about all realtors but with Shannon, he felt comfortable and at eased and trusted her. It takes a lot to gain my husband trust. We looked at 3 places before we found our new home which we love. And she was really patient with me because I can be really pushy but she was really was understanding and real knowledgeable. And she showed that she truly cared about us buyers (My husband and I). Especially with our situation because we were first time home buyers she made us feel comfortable for start to finish she stuck by us, and she explained the process to my husband and I, step by step. Not once did we not leave her with out any question being answered. She was really caring and she knew what we needed. Shannon helped us with finding our home in about 45 days, from when we first met her. I recommend her to everyone that I meet. I have made an everlasting friend too. Shannon did a great job working around my schedule while looking for a place and kept me up to date on everything that was going on throughout the escrow. She has a great rapport with businesses on Oahu and was able to recommend a lender which i thoroughly enjoyed working with. Questions I had were answered quickly and succinctly without real-estate terms requiring a dictionary. 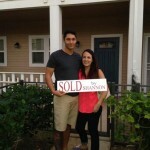 I would recommend Shannon to anyone who wants a stress free homebuying experience. Shannon began our journey as our realtor and ended with the swift sale of our home but more importantly a friend for life. We were extremely impressed with Shannon from the first time she came to our house preparing us to sell our home. She came with a property report, gave us a list of concerns we might have to talk over with us, explained to us what we should price our home for & why, as well as helping us to stage our home for the open house. She hired a professional photographer who took exceptional pictures of our townhouse that made us think twice about selling. My husband and I were tremendously busy at the time. He was active duty military & I was a full time student while planning a move to the mainland & buying a house at the same time. We did not have time for various showings so Shannon came up with a plan for an open house. I’ve never seen such an extravagant open house. She posted signs with banners all over town making our open house stand out from the rest. Because of Shannon’s effort in advertising our home and making it so appealing, we had several requests for viewings outside the Open House hours. Shannon graciously refused the offers knowing it would inconvenience us. We ended up with 4 fantastic offers. Shannon was also diligent in tracking the closing process keeping us consistently informed so we knew what to expect. 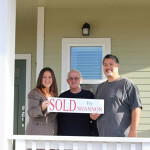 We were extremely impressed with Shannon Severance while working with her to sell our townhouse. 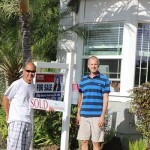 We have been through the process 7 times of either buying or selling and this was the best experience of them all. What sets Shannon apart from other realtors is the care and personal attention she gives. If she had other clients at the time that she worked with us, it never affected our selling experience. She is a consummate professional who only has her client’s best interest in mind. 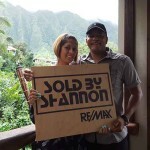 Shannon listed and sold our home in Ewa Beach. She is an amazing person and an awesome realtor. We were highly impressed with her knowledge of all aspects of her profession. She knows the market inside and out. Any time we had questions, she would get back with us immediately with an answer. We never felt pressured in any of our decisions, as she let us be in total control of every situation. We highly recommend Shannon! Shannon was great to work with and walked us through the whole process. I would highly recommend her to others. She was able to get us our home for $12,000 under asking and even though there were some issues with the seller the overall process went smoothly. Shannon is a go getter, in this market you need someone who gets things done FAST. We were able to be the first offer in and close in 30 days. Thanks Shannon for taking such good care of us. 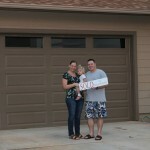 Shannon did an amazing job with the purchase of our home. As first time home-buyers we were very nervous, but Shannon was very thorough throughout the whole process, and made sure all our questions were answered. Shannon was professional, knowledgeable, and committed to finding our first home that was the perfect fit for our family. If I had to use one word to describe Shannon it would be “integrity”! When I first received orders to Hawaii, I knew I wanted to purchase a house, but with no background in real estate and an overseas deployment scheduled just months after touching down on the islands, I wasn’t certain of how it would be done or if it could be done at all. Still, I contacted Shannon based on a friend’s recommendation of her. In all seriousness, after meeting Shannon I never worried again about purchasing a home. From day one Shannon worked with tirelessly on my behalf so that, to me, the home buying process was effortless and worry-free. During our first meeting she explained with precision the steps I would take, the steps she would take, and the steps we would take together toward home ownership. This assuaged my worry about what to expect. But it was her actions from that day, in particular, the ease with which she made processing paperwork, and the speed, the urgency, with which she did this and advocated on my behalf, that made me feel like I was in good hands, like I was Shannon’s one and only client. Of course Shannon had many other clients, but the individual attention she paid to helping me secure my home was much more than I expected. Shannon is an expert in Hawaii real estate and works tirelessly for her clients to ensure a smooth home-buying experience. I offer only my highest recommendation!